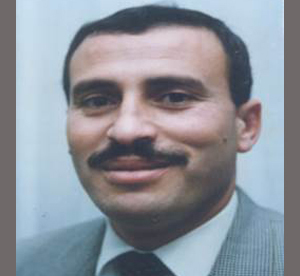 In the late 1980s, Prof. Jamal M. Safi recognized the poor health and environmental and protection situation in the Palestinian territory (Gaza Strip and West Bank). Unlike many others he decided to care abut this situation, and, as a consequence, he founded the Environmental Protection and Research Institute in Gaza City. He started to submit proposals for applied and fundamental research projects which were suited to contribute to the improvement of the health and environmental protection situation in his country. His grant applications to different international organizations were highly successful during the last about thirteen years. In the research projects, among other, Prof. Safi developed methods for screening blood samples in the Palestinian hospitals’ blood banks for hepatitis and other infectious diseases, for screening the environment for insects and their larvae which convey infectious diseases, for screening soils and crops for heavy metals, for the use of sustainable agricultural techniques, and for bio remediation of polluted (saline) waters. One of the main aspects of these scientific and technical developments was that they had to be simply and easy to apply so that they could be used by people with limited training in an low-tech environment. In addition, Prof. Safi and his coworkers offered training courses to improve the skills of his compatriots who were to use the techniques developed in his institute.